ALIT stands for Art / Archives, Library, Information and Tea. It is essentially a tea museum. And one of only a handful of tea museums in Japan, or even the world. The tea exhibits and related maybe the main part of the museum, but there is a lot more to the museum than just tea. And it is actually a really great place to bring kids for some traditional and hands on experiences. Best of all, part of the museum and a lot of the events they run are free! The free area is on the floor you come into as you enter the building. 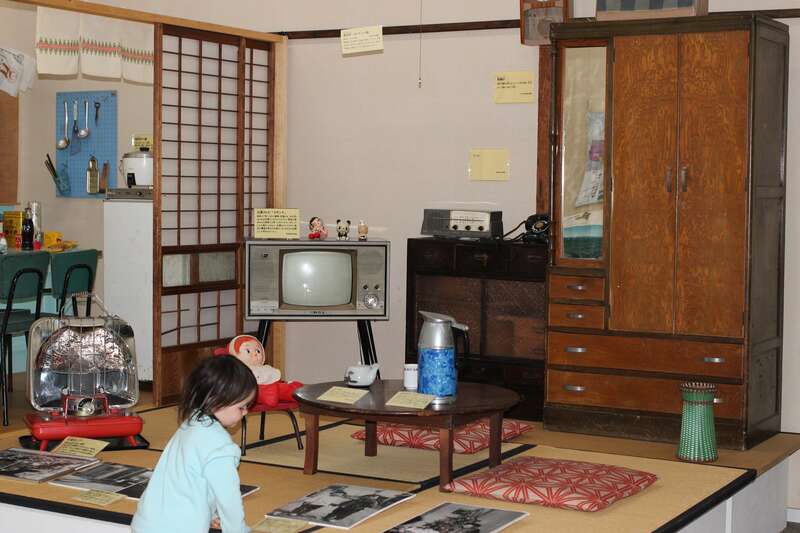 There is a small museum of sorts and a “taiken corner” where you can try various Japanese things. 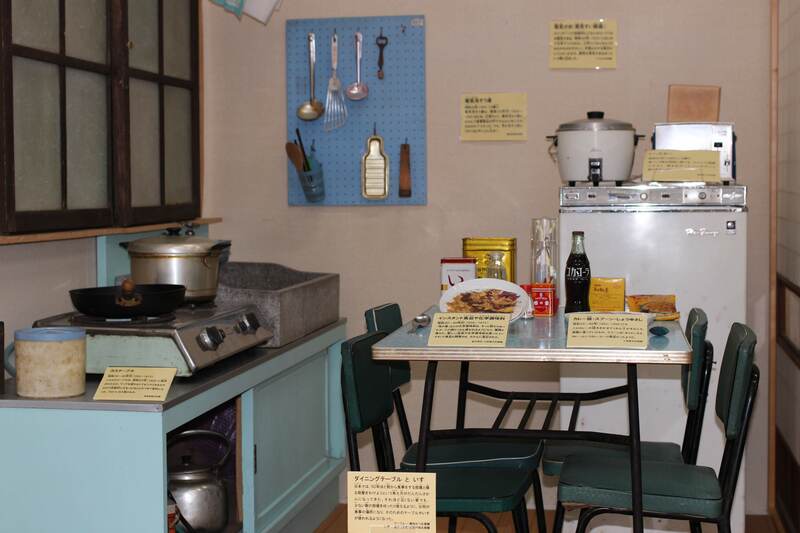 The free museum displays lifestyle exhibits: life size replicas of what the inside of homes looked like in previous generations. 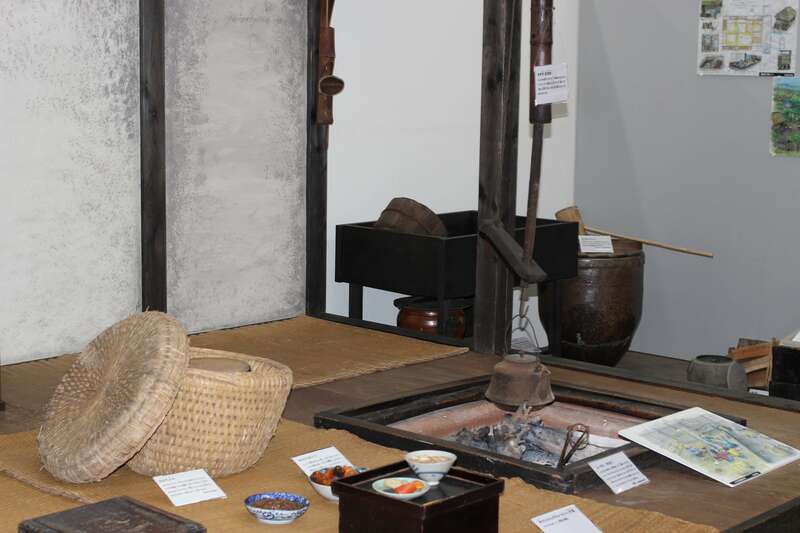 As well as exhibits with household goods from previous generations. 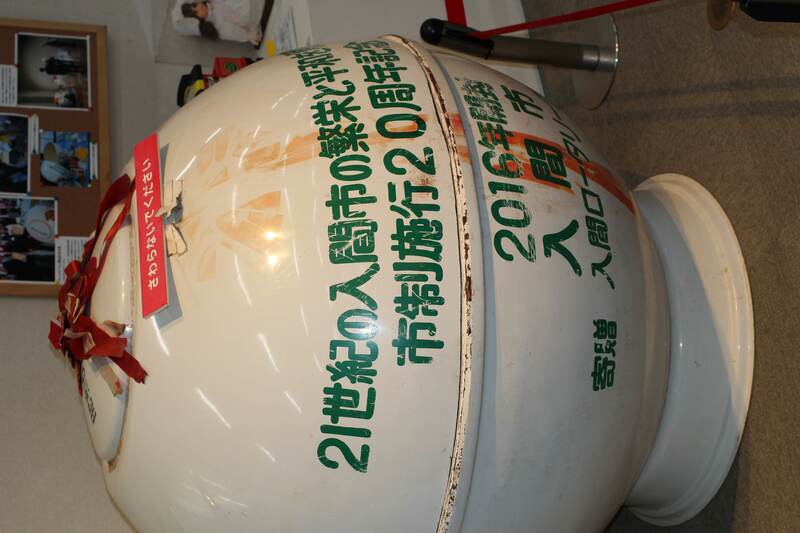 There is also a time capsule of this generation on store in the museum. You can see it, but you can’t touch or open it. 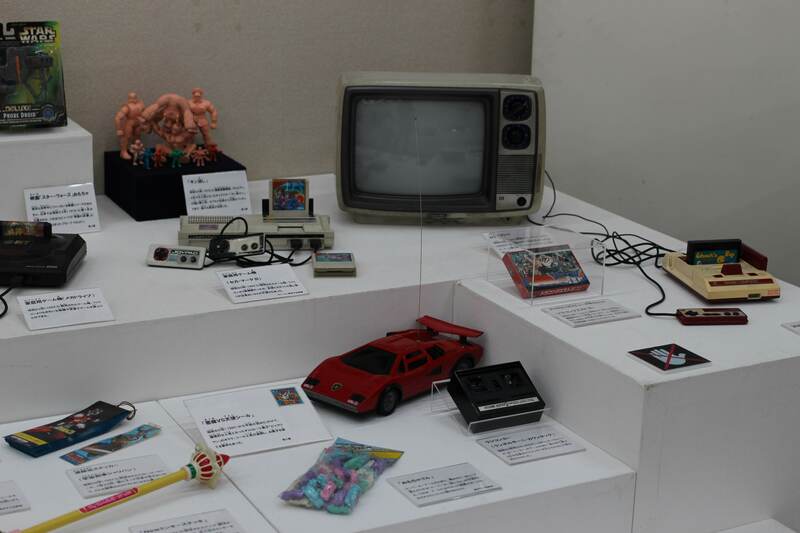 The “experience corner” always has some traditional Japanese toys, games and origami out for kids to play with. Toys include yoyo, koma and kendama. 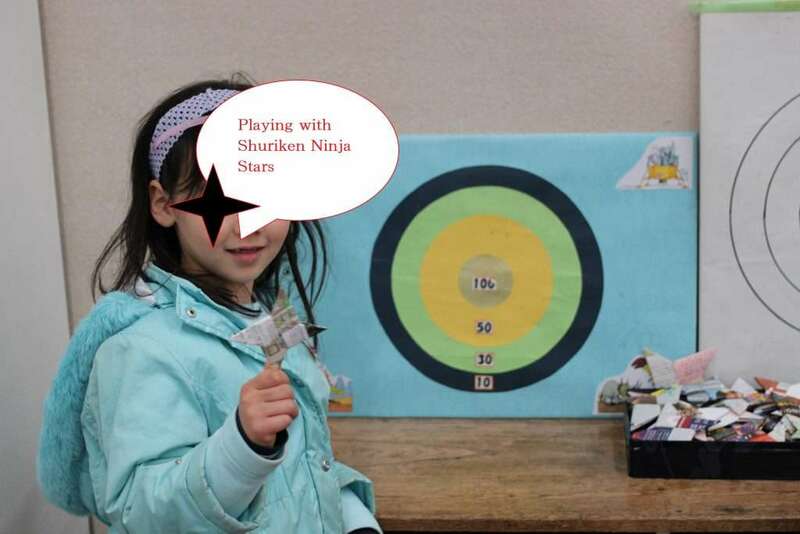 Games include shuriken (ninja stars) and daruma otoshi. 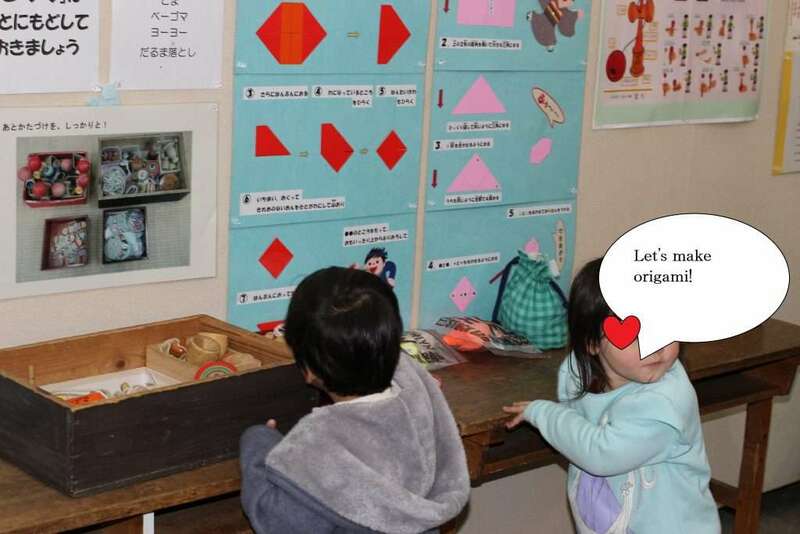 There are picture explanations and instructions on how to use and play with all the toys, games and origami. 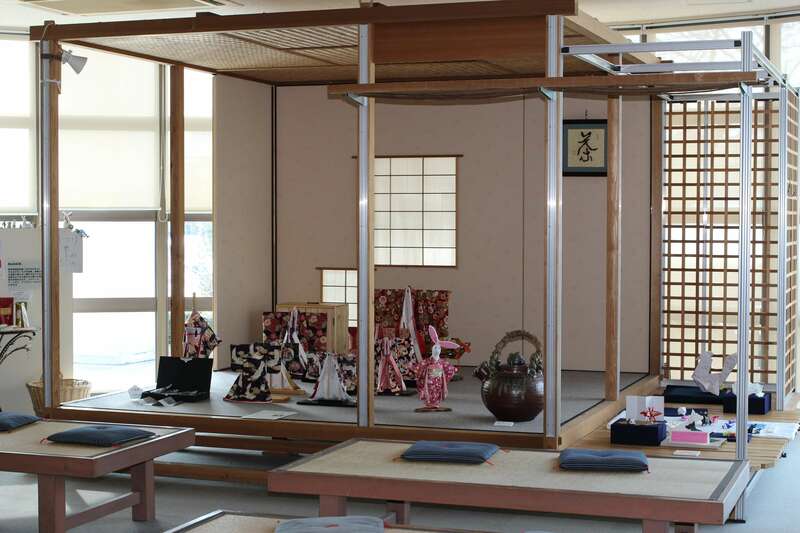 They frequently run a free event where you can try on traditional Japanese garments, such as kimono. They always have children’s sizes although you might have to wait your turn to try one on. My primary school aged children loved this experience. They made their own tea coasters on the Japanese loom, overseen by skilled and experienced weavers. It is a foot and hand operated loom which requires the weaver to be a certain height in order to operate it, so this experience is best suited to children over six years of age. Again, this was completely free and they got to take their handiwork home. This free experience is seasonal so it is not offered as frequently as the previous two. We were just lucky when we visited last February that they had this event on. It was very therapeutic! All the kids were able to try it too. On the February date that we visited the kids were also able to try grinding tea. Like all the events at the museum, this was supervised by a professional who voluntarily and gleefully divulged lots of pertinent information about tea. I love that it was both an experience and an education for the kids. A bit of information for those who searched for “tea museum”! The upper floor of the museum is dedicated, for the most part, to the history of and information about tea. Not just tea in Japan, but there are exhibits and information about all types of tea from all over the world. The museum also runs a number of lectures, talks and seminars about tea. Everything to do with tea from cultivating it, drinking it, appreciating it, customs and cultural associated with it and of course the history of it. They offer hands on experiences such as tea rubbing, tea rolling and, as you might expect, participating in a tea ceremony. Children can also enjoy tea events specifically for kids once or twice a month. The name “ALIT” doesn’t do much to convey what this museum is about. It actually has a lot to offer families for a half day out on a weekend when they have their excellent events and interactive experiences. We went to ALIT on an afternoon on our way home from visiting Totoro (Ghibli) in the House of Kurosuke in Tokorozawa. It made for a very fun one day itinerary for the kids. There is a tea shop on the ground floor of the museum that serves lunch. There is also a free area where you can help yourself to green tea too! There is also a restaurant in the park that the museum is in. The park restaurant is within walking distance of the museum. Hours: The museum is open from 9 am to 5 pm Tuesday to Sunday, closed on Mondays. Cost: The ground floor of the museum is free. If you want to enter the tea part of the museum it costs 200 yen for an adult and 50 yen for children. ALIT is close to the new nikuman factory tour and relatively close to Costco and Mitsui Outlet. If you are coming from the Ken-o expressway you take the same exit for Costco, Iruma exit, and pass the outlet until you see the sign for the turn for the museum. It is about a 7 minute drive. Parking is free. The nearest train station is Iruma station on the Seibu Ikebukuro Line. It is quite far from the station so you need to get a bus bound for “Nippongi” 二本木 from bus stop number two. It takes about 20 minutes. Yes, they really have the museums down pat. The one in Tokyo for parasites takes the biscuit though… only in Japan!